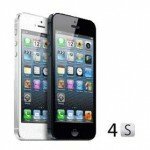 We offer iPhone 4S Repair services in and around the Surrey and Hampshire borders. Our 4S Repair Service is a same day service so there is no need to wait days or worry about posting your item to somebody you will never meet. We also drive to you so there is no need to drive to a shop or pay parking fees. Customers without a vehicle will save on public transport fees and because we visit you at home or work there is also no need to wait for the repair. Most of our iPhone repairs are complete within 45 minutes of arrival so you are free to carry on with your daily routine while we fix your phone. Replacement screens include 100% genuine and original Apple screen replacements! If you find it cheaper then please always ensure you ask your supplier for the Apple trademark on the ribbon. Fake screens have a high failure rate and usually show very poor contrast. All of our iPhone 4s repairs include a 120 day warranty. Warranty is void in the event of liquid or impact damage. Contact us for bulk or multiple purchase discounts.